Have you ever wanted to gather all the things you’ve seen on the internet that you love, want to check out, want to remember or just want to come back to, in one place? 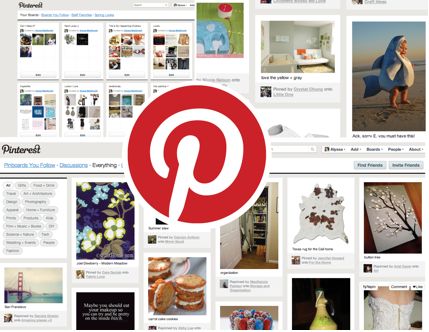 Enter Pinterest, a website designed to be a virtual pinboard for everything you are interested in. Curate your own pinboards with anything from fashion to fonts to memorable quotes to DIY crafts, browse through other members’ boards for new ideas and find things that you may have never found otherwise. Use it to plan your wedding, redecorate your child’s bedroom or just to identify what inspires you in one, super-organized, lovely place. I currently have 6 pinboards ranging from quotes that inspire me to decorating ideas to adorable animals that are too cute to just pass by. You can check out my boards here or visit the website here and get pinning yourself, you won’t regret it!